From 1939 to 1949, Hollywood producers, directors, and writers used the medium of film to bring World War II to life for American viewers. 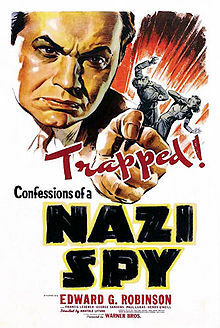 A number of these movies included Jewish characters – though not always protagonists, not always explicitly Jewish, and often portrayed as victims – to illustrate what the Allied forces were fighting against, and what we were fighting for. View trailers from films made before America entered the war HERE. View trailers from films made during the war HERE. In the decades following World War II, filmmakers used a variety of storytelling tropes to address the roles of Jewish people in modern society. Unlike in the previous decades, Jewish characters were being depicted as the heroes and heroines of their own stories – stories from ancient history, the recent past, and the present day – reflecting the growing self-confidence of American Jews in the postwar era. View trailers from films made directly after the war HERE. 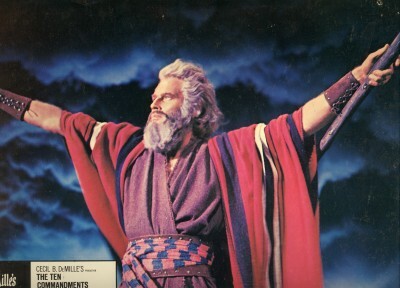 View trailers from films representing “biblical epics” HERE. View trailers from films dealing with the Holocaust and its aftermath HERE. View trailers from films dealing with modern anti-Semitism and the founding and early days of Israel HERE.